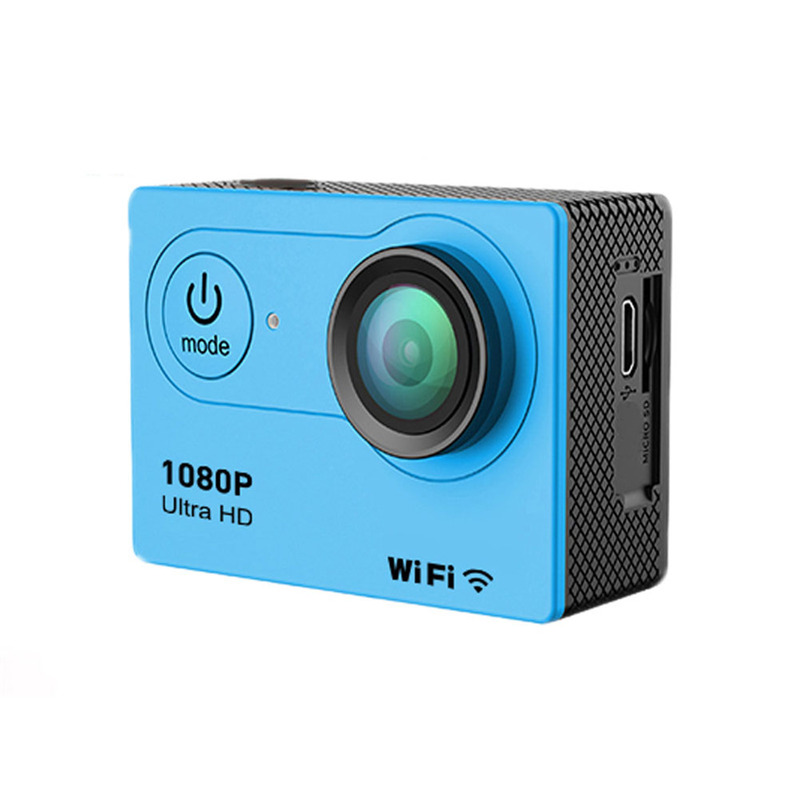 Successfully Added Action Camera Ultra HD 1080P WiFi Remote Control Sports Video Camcorder DVR DV Waterproof Pro Camera - Blue to your Shopping Cart. Motion detection: Support 1080P HD camera with WiFi. 12 million pixels to take pictures. Video resolution: 1920*1080 30fps, 1280*720 30fps, 640*480 60fps. Camera: H62+140 degree fisheye lens, with Master Smart Link JPCV4247. Memory: MicroSD 4~32G and the mini portable size is 59.3*41*25.2mm.